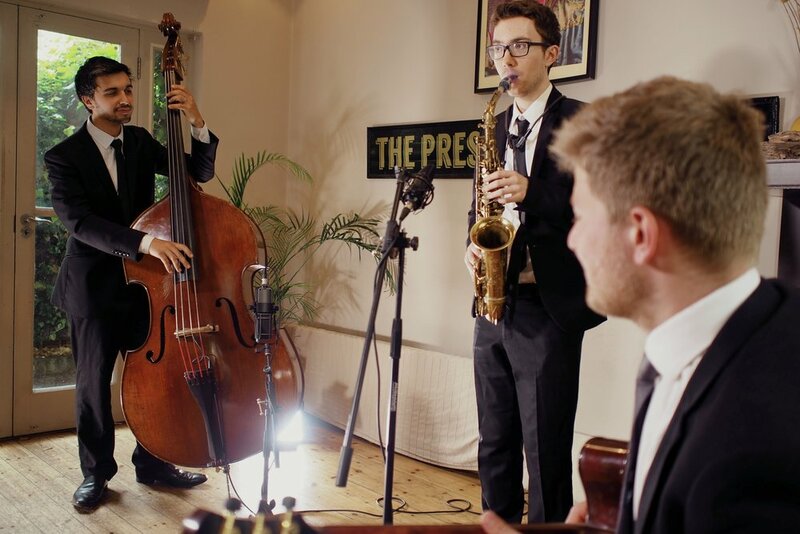 It's Alright With Three provide professional jazz and swing music for functions, weddings, and parties. The line-up is flexible, able to accommodate requests for duo up to quintet, incorporating guitar or piano as need be. Male and female vocalists are also available, with extensive experience of performing music for weddings including hits by Frank Sinatra, Michael Buble, and many others. Sets can be personalised and requests accommodated. 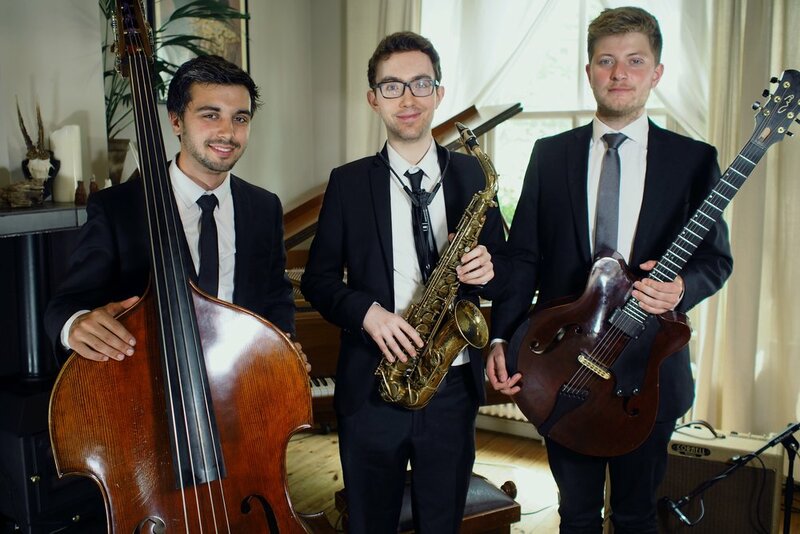 Bandleader Jim Gold is a London based saxophonist who has performed at Ronnie Scott's Jazz Club with the Ronnie Scott's Jazz Orchestra, Skelton Skinner All-Star Big Band, Callum Au Big Band, and National Youth Jazz Orchestra. 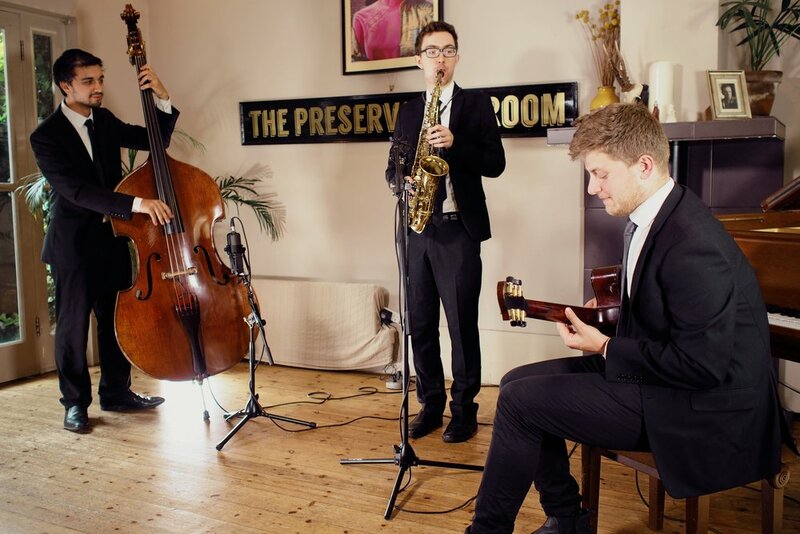 He has appeared at all the major london Jazz clubs as well as the BBC Proms. Jim holds degrees from both the Royal Academy of Music and Oxford University.